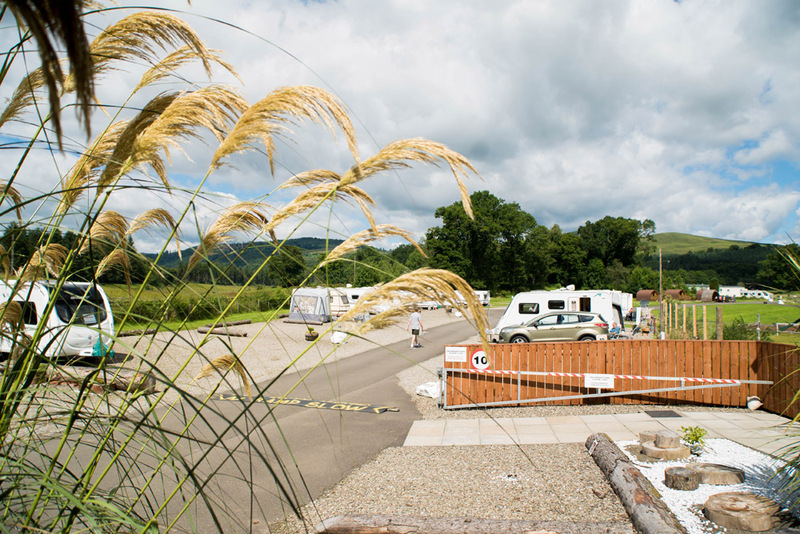 We have 67 standard touring pitches for caravans or motorhomes, these pitches are on flat ground and consist of either grass or hard standing. Our standard pitches are serviced with electric hook-up. 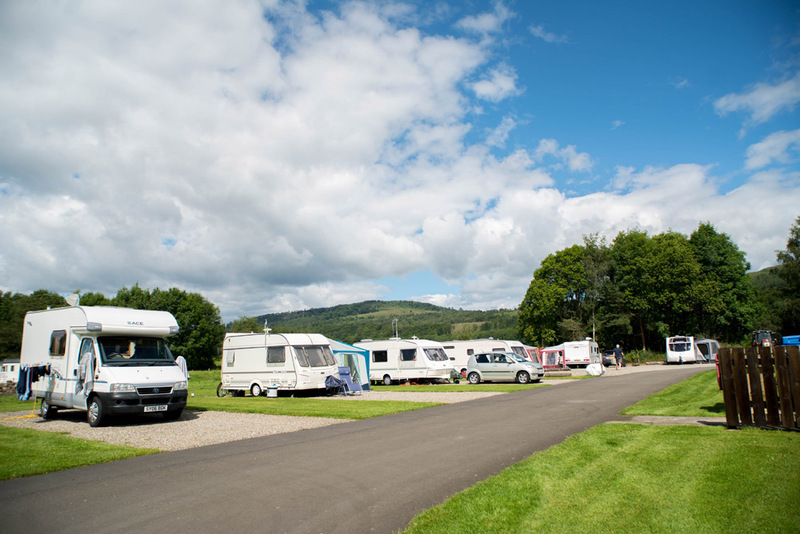 On site we also have 3 fully serviced hard standing pitches. These pitches include EHU, grey waste drainage and digital TV aerial point. 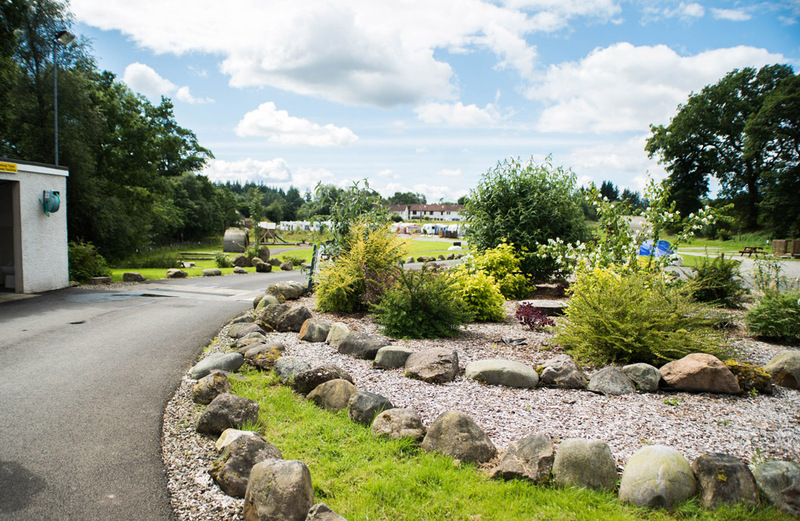 All of our pitches are within easy walking distance to our 2 amenity blocks. 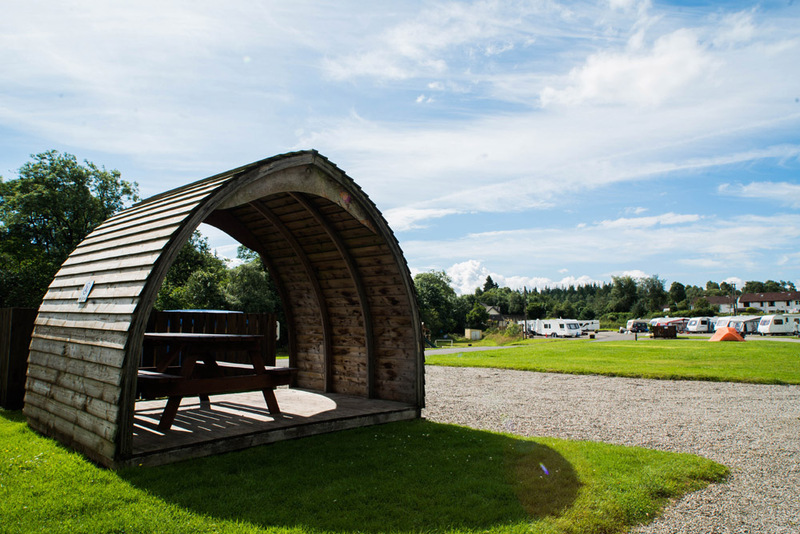 At the top of the park you will find a shower/toilet block with disabled access toilet & shower room, there are outdoor dishwashing sinks, elsan chemical toilet disposal point and a well-equipped laundry. 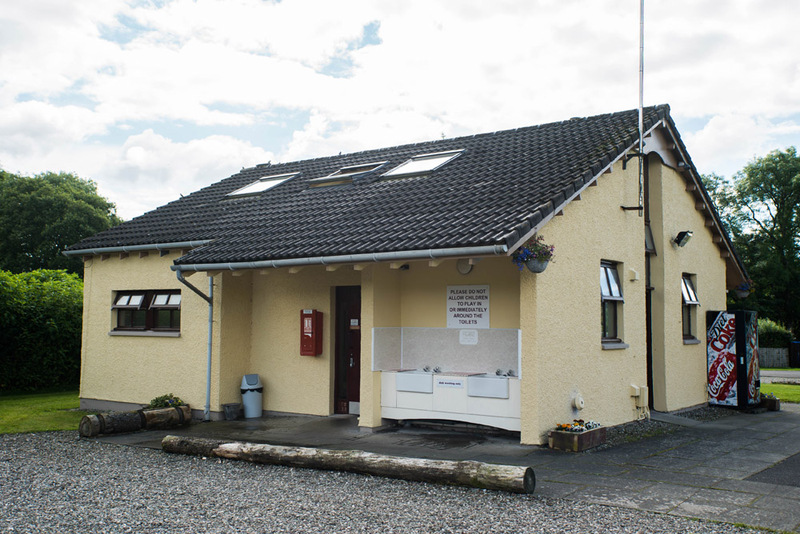 At reception you will find our other amenity block which has toilets/showers, a family room including baby bath, a disabled access toilet/shower room, an indoor drying room and kitchen area with microwave for customers use. 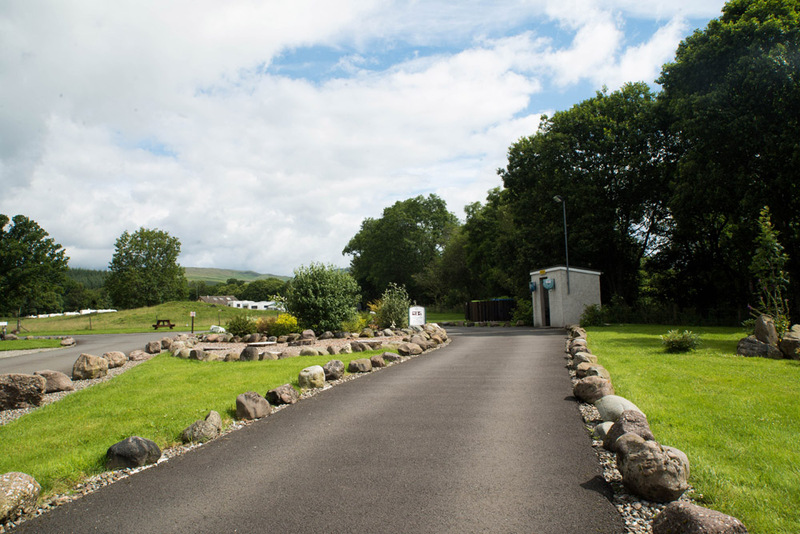 In the middle of the park we have a custom designed top of the range drive through motorhome bay where customers can fill up water tanks with fresh water, dump grey waste and empty chemical toilets. We have a new installed kid’s playpark and designated area for ball play. Are the pitches fully serviced? 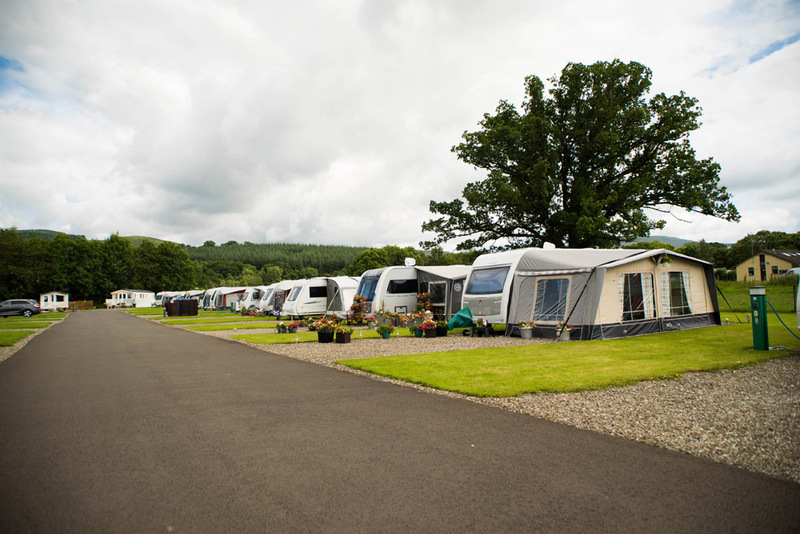 We have 3 fully serviced pitches, these must be requested when booking. The pitches at the top end of the park (36-56) and the fully serviced pitches have digital TV points. Are the standard grass and hard standing pitches the same price? Yes, the standard pitch price is for either standard grass or hard standing. 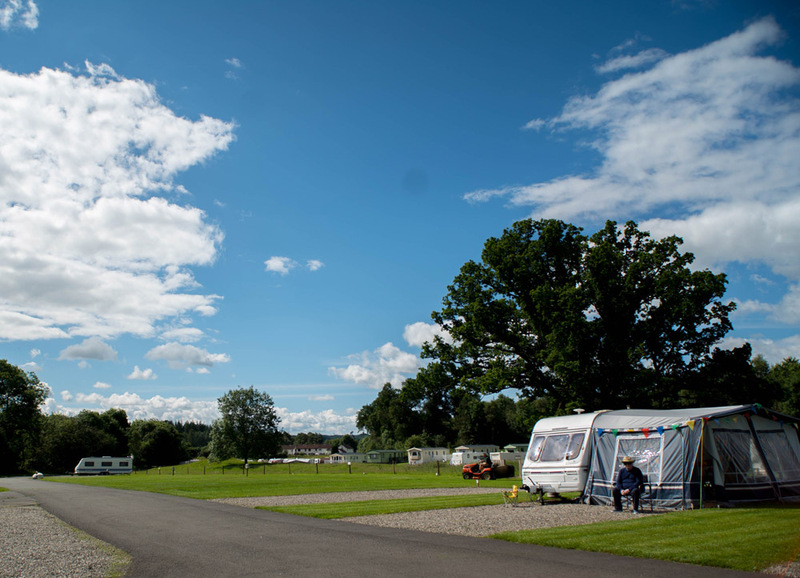 Mid Week Offer – Senior Citizens (over 60’s) can enjoy a mid-week break with their caravan or motorhome Mon-Thurs during the months of April, May & June for the discounted price of £20.00 per night including EHU. This offer must be booked in advance quoting Senior Citizens Offer. A min of 2 night stay is required. *price includes 2 occupants per unit, additional occupants charged at £3.00 pp pn. Awnings are charged at £2.00 pn.